Good News for the Property Buyers: Association and state governments chose to bring down Goods and Services Tax (GST) on under development lodging properties to 5% from a viable 12% in an expert customer choice in front of national surveys due by April-May. 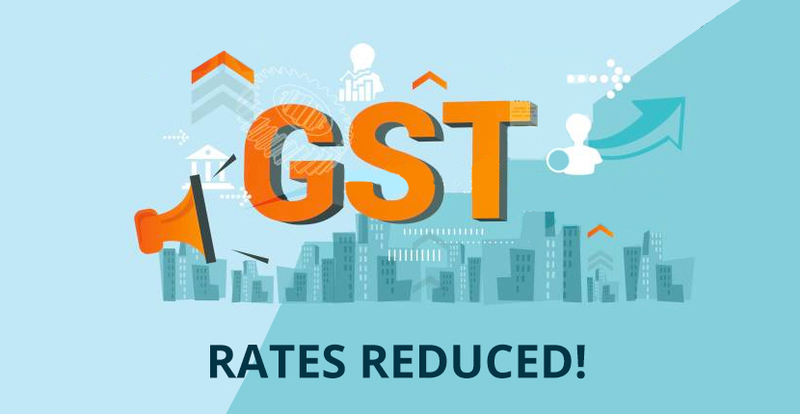 GST rate on reasonable lodging ventures also has been brought from a successful 8% down to 1%. Under-development properties estimated upto Rs. 45 lakh will qualify as reasonable lodging ventures with the end goal of GST alleviation in both metro urban communities just as non-metro urban areas, fund serve Arun Jaitley told columnists. "We needed to give a lift to the land division just as offer alleviation to the working class, neo-white collar class and the optimistic white collar class. This will become effective 1 April 2019," said Mr. Jaitley. In spite of the fact that the top on cost of the property is Rs. 45 lakh for both metro and non-metro tasks to get the 1% charge rate, they need to meet distinctive floor covering region prerequisites. Just those with the floor covering zone of 60 square meter in metros and 90 square meter in non-metros falling under the Rs. 45 lakh top will be qualified for the 1% rate, clarified Jaitley. In both the cases, manufacturers won't almost certainly alter the duties paid on crude materials like concrete and steel against the last duty obligation on under-development properties. This was not the case before. The structure plot declared for properties, similar to those relevant to eateries and brokers, comprises of a little level duty rate without info charge credits. The GST Council has been slicing charge rates to offer help to buyers in spite of the effect it has on the exchequer. Income secretary Ajay Bhushan Pandey said in a meeting in Mint prior this month that as a result of the rate decreases, advantage adding up to nearly Rs. 90,000 crore a year has been given to shoppers. The thought is to support the land area which is battling with record inventories. At present, the powerful rate of GST on under-development properties is 12% in the wake of taking into account the expense of land, which is out of the domain of GST. Properties where the development has been finished draw in stamp obligation, not GST.